The culprits are many. In Anziska’s telling of this history, we can find fault with most of the parties to the conflict—all of the U.S. administrations that were involved during this period; Israeli prime ministers, whether from Labor or Likud; Egyptian Presidents Sadat and Mubarak; Lebanon’s Phalange Party and, in the end, even the PLO’s Yasser Arafat. Digging deep into the official records of the Israelis, Egyptians, Americans, Palestinians and others who participated in the region’s wars and various diplomatic endeavors, Anziska mines government and research center archives, unearthing revealing contemporaneous accounts, minutes of meetings and official communiques—providing the story behind the story of events as they unfolded. Especially fascinating were: The internal debates that took place in Israeli cabinet meetings and how, at times, they would don a diplomatic mask of accommodation while clinging to their firm refusal to surrender sovereignty of Palestinian lands or recognize the existence of a Palestinian nation; the discussions that occurred between President Carter and his aides; the frustrations expressed by Egyptian President Anwar Sadat’s various foreign ministers over his betrayal of the Palestinian cause; the way Israel’s Ariel Sharon rudely manhandled U.S. emissaries and their cowering in the face of his belligerence; the way Israel’s Menachem Begin initially sought to pose as the savior of the Christians of Lebanon only to “turn on a dime” after they refused to sign a peace agreement on Israel’s terms; the insidious plotting of a Phalange leader with the Israelis to end the Palestinian presence in Lebanon and the short-lived, but still worth noting, instances of frustration of U.S. Presidents Carter and Reagan and Secretaries of State George Schultz and James Baker with the Israelis. What emerges as key to the denial of Palestinian rights is the self-imposed paralysis of American decision-makers in the face of Israeli intransigence—resulting from successive administrations’ fears of the domestic political fallout that might follow any pressure the United States might apply on Israel. Time and again, U.S. principals grew impatient with Israeli ploys and their hardline refusal to recognize and grant national rights to Palestinian, only to back down after advisers cautioned them of the political consequences that might result. There were no American “profiles in courage” emerging from Anziska’s book. Carter, for example, began his term with a pledge to realize a “homeland” for the Palestinians. In line with his administration’s commitment to human rights, Carter was moved to end their suffering in exile and under occupation. The vehicle he envisioned to initiate the path toward this goal was an international all-party conference to end the Arab-Israeli conflict. 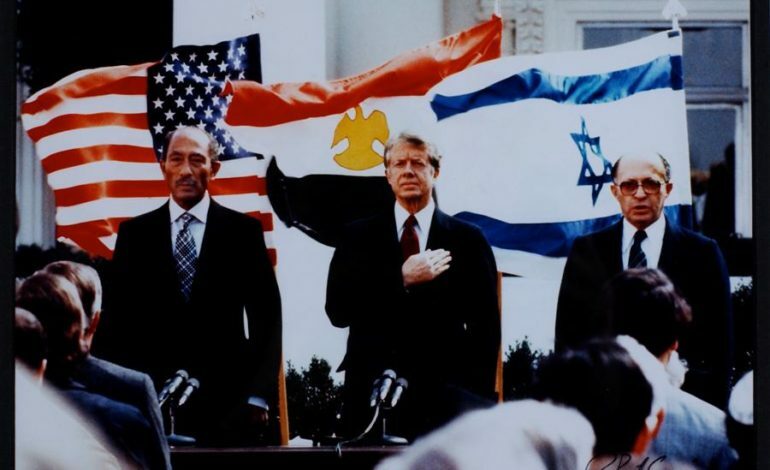 Carter’s efforts were ultimately upended by a combination of Israel’s refusal to participate in any forum that would question their claim of sovereignty over the Palestinian territories; Sadat’s resolve to achieve a separate Israeli-Egyptian peace without the Palestinians, despite his public pronouncements to the contrary; and the pressure from the American Jewish community, which caused sufficient enough discomfort within the White House to cause Carter to back away from pressing Israel to cede land or political rights to the Palestinians. 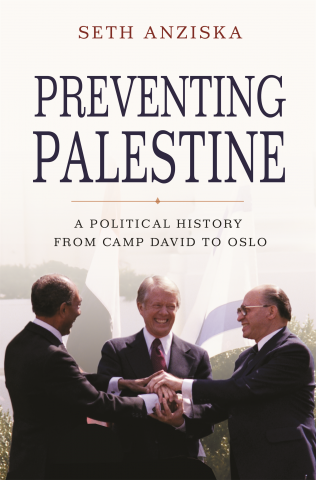 In the end, Carter acceded to the pressure and shepherded the Camp David peace agreement between Israel and Egypt. The agreement, shaped by largely by the Israelis, promised only future discussions on a vaguely worded plan for Palestinian “autonomy”—which in the Israeli lexicon meant that the Palestinians could realize control of their persons, but not control over land. The result, as Anziska notes, was that at Camp David Sadat got the Sinai and Begin got the West Bank. And with Israel’s southern border secured, Begin was free to attempt to “wipe out” the PLO in Lebanon. As a result of this Israeli intransigence and the weak-kneed American response, the Israeli occupation of the Palestinian lands only deepened. In 1977 there were about 5,000—8,000 Israeli settlers in the West Bank. By 1992 there were 100,000 settlers and today the number exceeds 600,000. Well, here we are in 2018, 40 years after Camp David. The Palestinian dream of an independent state is not only unrealized, but is most likely unrealizable. With many Palestinians now favoring a one state solution, they may throw Begin’s words back at him and say, “There’s nothing wrong with that.” The problem for the Israelis, of course, is that the once “Arab minority” is now a majority and Israelis have only themselves to thank for digging this hole. By “Preventing Palestine”, they have given birth a new reality.